Discover a whole new world of dogs with these revolutionary, breed-specific guides accompanied by a free DVD. 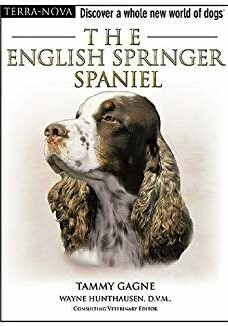 The English Springer Spaniel is a resilient and energetic dog whose ultimate goal is to spread happiness to those closest to home. Written by an expert, this book features an extensive grooming chapter to help pet parents properly maintain the distinct coat of these elegant and lovable dogs. It also contains many great suggestions for making the most of leisure time with your four-legged friend.